When you see photos of Prince George, you probably focus on the 4-year-old’s sweet smile and cute cheeks. But there’s something else that people have noticed recently about the young royal: He’s always wearing shorts! 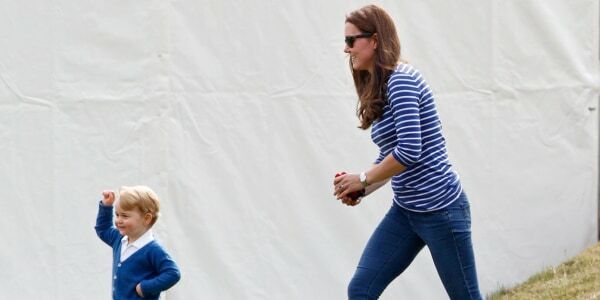 Why is Prince George never spotted in jeans or other long pants? Harper’s Bazaar UK did some investigating, and they found that dressing young boys in shorts is a long-standing tradition among the British royalty and aristocracy. From the steps of St. Mary's Hospital in London to posing with his little sister Charlotte, take a look at the royal baby's adventures. Most boys graduate to full-length trousers at about 8 years old, Hanson explained. He said the shorts-only tradition may stem from the antiquated custom of “breeching,” which dates back centuries in the U.K. Traditionally, he said, young British boys were dressed in gowns for the first few years of their lives, until being “breeched” and graduating to short trousers. “The British upper set are always keen to hold on to tradition, and this one also silently marks them out from 'the rest,” Hanson told Bazaar. However, though the Duke and Duchess of Cambridge may be following royal tradition when it comes to George’s shorts, they certainly aren’t elitist when it comes to where they buy clothes for their kids. They’re from London-based childrenswear brand Pepa & Co., and they cost the equivalent of about $20. Keep rocking the shorts, Prince George — they couldn’t be any cuter! This story was originally published on Oct. 7, 2017.